East Troy, WI – On Friday and Saturday, Dec. 19 and 20, Alpine Valley n East Troy will roll back its prices for lift tickets by 50 percent in celebration of the ski area’s 50th anniversary. Festivities will also include Euro bungee jumping, raffles, face painting and specials on cocktails and beer in the Valley View Lounge. Both evenings, between 5:30 and 6:00 p.m. when slopes are closed, revelers will be treated to a fireworks display on the top of the slopes. “We are proud of Alpine Valley’s 50-year history and all the improvements we have made through the years,” stated General Manager Bruce Firestone. 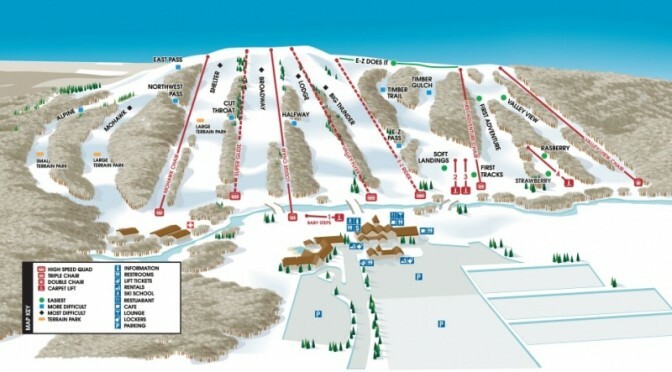 He added that the rolled-back prices are the ski area’s way of celebrating and hopefully introducing Alpine Valley’s slopes to many new skiers and snowboarders in the area.